Welcome to another edition of the Forest Hill Newsletter, and a special welcome to all the new members who have signed up in the last few months, swelling our membership numbers considerably. 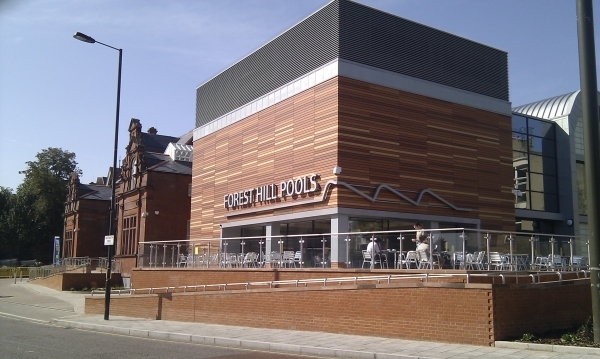 It has been a busy few months for Forest Hill with some key developments taking place. This month the library reopens with some great new facilities. October saw the refurbishment of Forest Hill’s favourite Comedy venue – the EDC at the Hob. In November, demolition work began at the Finches site, paving the way for a mixed development. And last but not least, we have finally got a coffee shop in Forest Hill – welcome to the Lemon Grove on London Road. Public consultations have taken place in Forest Hill and Perry Vale wards regarding the allocation of the localities fund - £10,000 for worthwhile projects in the local area. No decisions have been made yet but there have been some great ideas about how to spend the money to improve the local area. Many of these ideas were put forward at the Society’s AGM in October. These include more greenery in the shopping centres, particularly around London Road, possible traffic calming measures in key locations, youth services, and opening up access to the station from the Perry Vale car park. We look forward to seeing how the money will be spent. If you haven’t yet renewed your membership subscription for 2008, contact us for a form to use. You can now set up a Standing Order which should make it easier. And finally, I hope many of you will find time to join us at the Rockbourne Youth Club’s Christmas Fayre on December 15th. You’ll find details of the Society’s contribution inside this Newsletter. See you there! When I was asked to talk at the Forest Hill Society’s Annual General Meeting in October, I wasn’t completely sure what to talk about, writes Jeff Lowe, internationally acclaimed sculptor and founder of the Havelock Walk artists’ quarter. Should I talk about my sculpture, the Havelock Walk community or my views on Forest Hill from an artist’s perspective and as someone who has lived in Forest Hill for the last fifteen years? I tried to combine all of these aspects but, in particular, I wanted to talk about my pet hates and disappointment at the virtually unchanged nature of what I would consider to be the centre of Forest Hill. In my view, regeneration starts with small and obvious changes and from people who care about the environment in which they live. 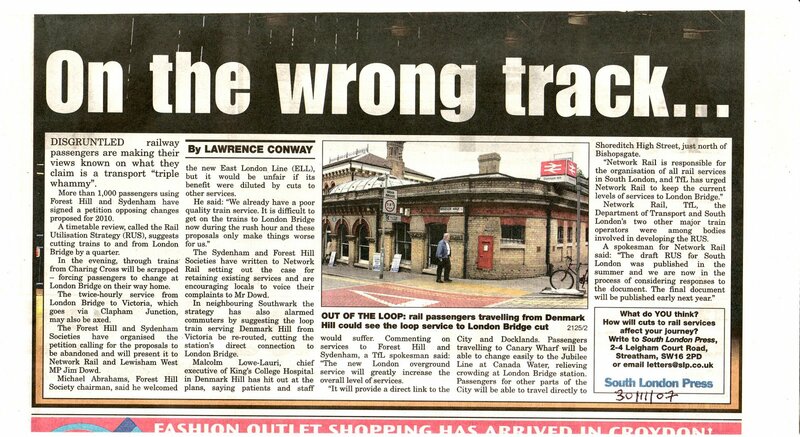 I have been particularly critical of Lewisham Council’s planning department. Although it has absolute power over the granting of planning for shop fronts and signage, it does nothing to enforce this, nor does it even seem to have a particular design policy to deal with this. By showing a series of images in my talk, I think everyone present was very aware of how hideous many of these shop fronts and signs are and how they detract from the quality of the architecture they hide. They present a visual barrage, which is completely unnecessary in terms of advertising. There is a complete lack of harmony and any sense of overall planning. Although I believe in organic growth, this has to develop within certain parameters. Forest Hill is still seen as a run-down area and the fact that the centre is uncared for by Lewisham Council is a disgrace. The streets are filthy and full of rubbish. Refuse collectors should be encouraged to work to create a generally cleaner environment instead of having the belligerent attitude which most of them have. Rubbish should be removed from the centre of Forest Hill even if it falls outside of the weekly collections. For there to be regeneration, we have got to start with these obvious problems. I have often said it would take the catalyst of perhaps five or six entrepreneurs, opening at the same time, to start the process of regeneration and in order to encourage others to have the confidence to follow suit. If we don’t deal with the obvious problems we do not create a framework in which this can develop. If I were a visitor to Forest Hill walking to the Horniman Museum from the station, I would be appalled. Havelock Walk is a good example of regeneration but it has developed from the efforts of the residents who live and work there with little support from Lewisham Council. The recent farce of the aborted re-cobbling is a classic example of bureaucratic bungling. Because of a few potholes within the street, the highways department’s answer was to tarmac a major part of Havelock Walk and cover the original cobbles. When I called the planning department, Steve Isaacson – to his credit - agreed with me that this was an act of vandalism on a major scale. There followed meetings, site surveys and the usual reams of paperwork. Eventually it was decided that the only way Havelock could be re-cobbled was to use new cobbles. When I pointed out that this was a conservation area and that the existing cobbles were part of its history, I was told they would be used somewhere else in the borough, “possibly Blackheath!” I commented that I didn’t want to go to Blackheath to feel that I was standing in Havelock Walk. We were also told that because of financial restrictions it would have to be done in two stages, but we were not able to get any guarantee as to when this second stage would be implemented. We have heard no more. Havelock Walk is heralded within Lewisham Council as a successful example of regeneration, a vital, lively community and a real example of live/work. Why are they not prepared to help? 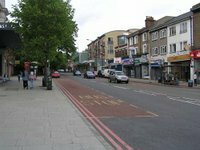 The examples I have listed are simple ways in which Lewisham Council could contribute to the regeneration in Forest Hill. Let’s hope we can persuade - or embarrass - them into action. Forest Hill library, much loved and cherished by local residents, will be reopening on December 11th. It has been completely refurbished with an emphasis on making it lighter, brighter and enhancing the beautiful decorative features of this stunning listed building. The new library, which is fully accessible for disabled people, will have thousands of new books, up-to-date IT facilities and a new lay-out with a welcoming leisure area in which users can relax on comfortable chairs and sofas with a drink from a vending machine. DVDs will be stocked for the first time, there will be a multi-purpose meeting room, which will be available for community use, and younger users will have access to playstations. will be open for many more hours in the week! We all like to think of ourselves as unique, but Forest Hill does have an alter ego in New York City. Why did you decide to live in Forest Hills, Peter? We moved here because my wife works in Manhattan and I work on Long Island. It's close to both. And you get the amenities of the city with a suburban lifestyle. It's not perfect, but we like it enough. So how many forests and how many hills do you actually have? The pithy answer is "Forest Hills has neither forests nor hills". There are nicely tree-lined neighborhoods now, but before it was developed, Forest Hills was farmland. It was named after nearby Forest Park, which does have a big forest. And the land slopes away on the border of Rego Park, but it's hardly a real hill. What’s the best thing about living in Forest Hills? Lots of negativity; lots of people who complain about *everything*. Where would I go for a great night out? Manhattan. Our restaurant situation isn't exactly dire - there are places worth eating here in Forest Hills, though not much worth travelling for. And we're only 10 minutes by subway from Jackson Heights where you can get some of the best ethnic food in the city (and by extension, the best ethnic food in the country). As for bars, well, that's never been our strong suit. I don't mind having to go to Manhattan for a good place - if I'm going to stay in the neighborhood to drink, I may as well just stay home. Forest Hill has a large, stuffed walrus in the Horniman Museum. What’s your equivalent? Well, the most famous landmark is the decaying tennis stadium where they used to play the U.S. Open. But for strange, "Civic Virtue" comes to mind, but that's just over the border in Kew Gardens. Fantastic. 24-hour subway and railroad lines. Gets you to Manhattan easily. And what would make life in Forest Hills even better? A better selection of restaurants and cafes. How well do you know Forest Hill? One man has made it his mission to walk every street in SE23 by the end of the year and has built up an impressive knowledge of the area as a result. Now, together with the Forest Hill Society, he’s inviting people to join him on 15th December for the final leg of this epic journey. Rob McIntosh has been pounding the uneven pavements of SE23 all year, taking photos and making inquiries as he goes. He then shares the experience with the wider community through his entertaining blog (online diary) http://se23streets.blogspot.com. So, if you fancy keeping him company as he completes his task - and sharing a few mince pies along the way - do join us at 11am on 15th December at the corner of Brenchley Gardens and Brockley Way. Rockbourne Youth Club’s Christmas Fayre (41a Rockbourne Road) - approximately 2.5 miles. The Forest Hill Society will have its own stall at the Rockbourne Christmas Fayre with plenty of information about the Society, and a few SE23 cakes to get you in the community spirit. At 1 o’clock, Rob will give a short presentation about his walks, the best views, the prettiest streets and most interesting places in Forest Hill. The Fayre is 12-4pm and promises plenty of stalls, food, games and raffles. For more information, contact Cerys or Jane at rockbourneyouthclub@gmail.com or call 020-8699-0163. Around twenty lucky souls met on the evening of September 23rd for a tour of the varied drinking establishments in SE23. We started with the cavernous Capitol, the Art Deco cinema restored to its full glory. Some of the braver amongst us risked the candlelit ghost tour of the upper circle and beyond, kindly led by “Bean.” As luck would have it, Bean is psychic and was able to point out several ghosts who appeared along our route. Then onto the Forest Hill Hotel, hidden away off Stansted Road, and, sadly, often overlooked by many of us. It’s a modest and traditional back street boozer complete with a nice array of hanging plants outside. We then traipsed on to the much talked about The Honor Oak where James and Jamie had laid on a small feast. Backways past the former games' factory, and the former hemp factory, to the edge of the known SE23 universe and the Blythe Hill Tavern. We just fitted into the cosy snug of this real Irish pub. As ever, the Guinness was near perfect. Thanks to Con for that. Views on the next itinerary - and the best day of the week to do it - to the editor please! It’s Halloween and Mayow Park is pitch black, save for the ghoulish faces of the pumpkins flickering in the cold night air. The children have morphed into witches, devils and worse. And there’s an overwhelming smell of sticky sweets, which they tricked or treated earlier in the evening. We’re all set for a Bat Walk! It was late in the year for bat hunting. As the insects they eat disappear, the bats start thinking about hibernating. But they made a special effort for Halloween. We didn’t actually see any but we did pick up a couple on our bat detectors – electronic devices, which convert the bats’ ultrasonic, echolocation calls into audible clicks. These were pipistrelles – small, fluttery bats, which are the ones we’re most likely to encounter in our parks and gardens. They may even roost around our houses in summer without us knowing they’re there. They weigh less than a pound coin but they eat up to three thousand insects a night. Our guide for the night was Colin Higgins, the new warden of Sydenham Hill Wood who works for the London Wildlife Trust. He says we’ve got at least six bat species in Forest Hill out of seventeen species nationally, which is pretty good seeing as they are in decline due to loss of habitat and the overuse of pesticides which kill off the insects they eat. At Sydenham Hill Wood we’re lucky enough to have brown long-eared bats - one of the more attractive UK species. They normally prefer rural locations, such as farms, but the wood has a good supply of insects and plenty of places to roost. There is a Woodland Bat Roost Project, funded by the SITA Trust, with extra help and money from Southwark and Lewisham Councils, which seeks to improve the wood as a habitat for bats. This involves surveying the woods with bat detectors and putting up bat boxes to provide extra roosting spaces. There are also plans to carry out building works on the disused railway tunnel to improve it as a bat hibernation site. The best way to see and hear bats is to go on a bat walk. These are public events held in many parks and public places generally between May and September, when bats are most visible. 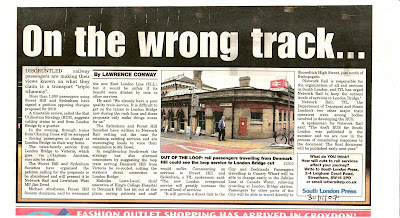 Press Release from Forest Hill Society taken up by the South London Press.